$17,399 x 72 Months @ 6.9% APR (estimated financing rate, cost of borrowing $3,872). 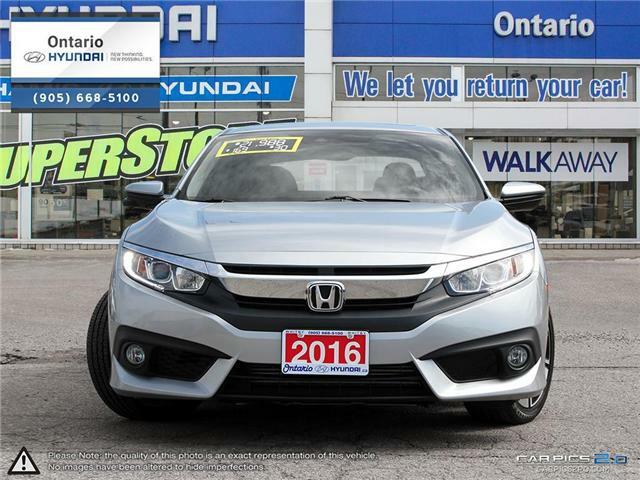 Only 43,933 klm on this 2016 Honda Civic EX Turbo and priced to sell fast. Equipt with automatic transmission, heated seats, power sunroof and back up camera. 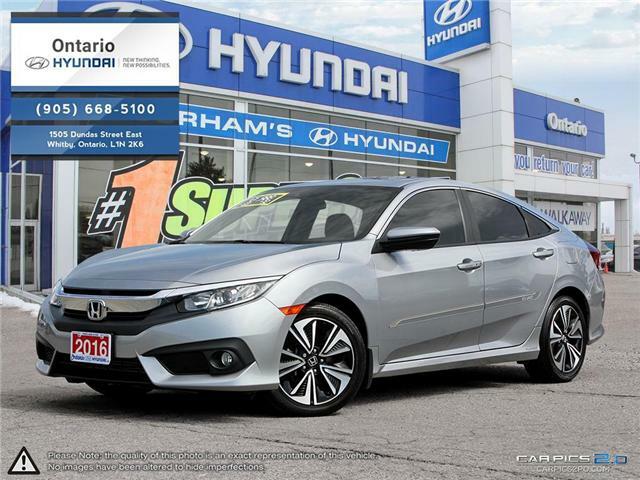 What a fun car this is, call today to book your test drive. $13,599 x 72 Months @ 6.9% APR (estimated financing rate, cost of borrowing $3,027). VOTED BEST IMPORT DEALERSHIP BY READERS CHOICE 5 YEARS RUNNING, DURHAM’S #1 VOLUME DEALER! © 2019, Ontario Hyundai, All Rights Reserved.